St. Louis, MO, September 13, 2017 –(PR.com)– Kids put boogers everywhere. It’s disgusting. Author Baker Andrews and Illustrator Sean Long tackle this sticky topic in the new children’s book "Where A Booger Goes." With catchy rhymes and beautiful, colorful, hilarious illustrations, Andrews’ book aims to educate and delight with equal parts laughter and gross-outs. “When I worked with kids, I saw a lot of…interesting habits as far as booger disposal goes. 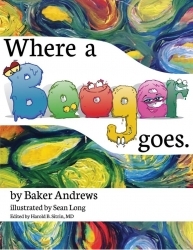 I figured I could help parents, teachers, and society at large if I wrote a book that could help get boogers in their right place,” says Andrews about the creation of the book. Andrews worked with children directly in his prior role with St. Louis’ Special School District before shifting professional gears and jumping into the children’s authorship pool, which replaces literal boogers with literary ones. "Where a Booger Goes," Andrews’ first book (set for digital release by Black Swan Publishing, LLC on 09/30/2017 and hardback release on 10/21/2017), highlights inappropriate booger-disposal habits by several cartoon children before reaching the conclusion of where a booger truly belongs. The illustrated boogers in the book are full of character and personality, and manage to be disgusting and adorable at the same time. Andrews will be available for book signing events at independent book stores and other venues starting on 10/21/2017. Andrews will also be available for reading and speaking events at libraries, schools, and religious institutions. 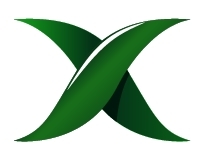 Reading/speaking engagements run approximately 60 minutes, and conclude with a motivational speech written around the institution's mission statement, slogan, or any other guiding principles requested. For Review copies, email Baker Andrews directly at above email. Go to bakerandrews.com to pre-order copies of the book, which will be available September 2017, with bulk discounts available up to 46% off.